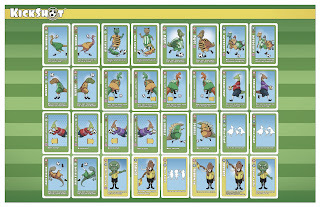 ILLUSTRATION: NOAH KROESE: Dinosaur Cards!!! Remember a post I put up about soccer board game called Kickshot? 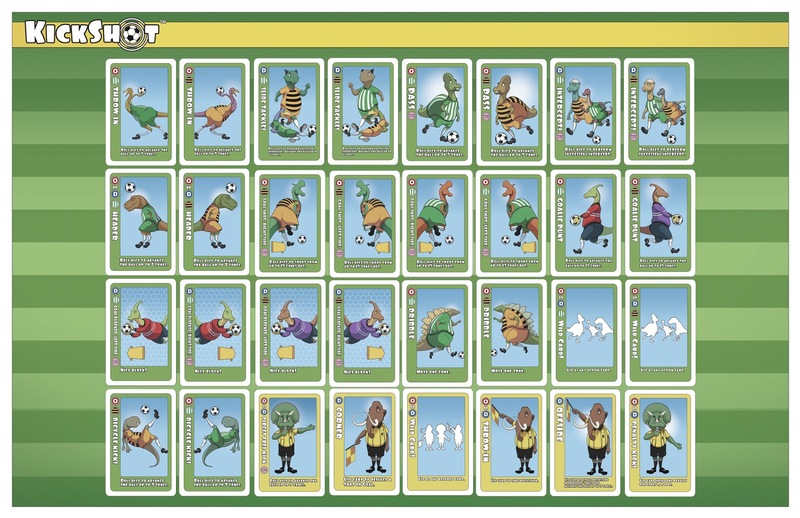 Well, on top of the original card deck that comes with the game (which features animal characters), creator Aziz Makhani and I have been working for the past several months on an expansion deck featuring dinosaurs. This was all sorts of fun to work on. The dinosaur expansion pack should be available soon. In the meantime, if you're interested in buying the Kickshot board game, you can do so through the website (link above).